G-Star RAW SS2015 Ad Campaign captures this essence of jeans and exprressed it through their diverse range of styles and fits. As the brand housing a perfect jean for everybody, G-Star enlisted Ellen von Unwerth to photograph the campaign, a natural fit in itself with her affinity for denim and forte with the female subject. von Unwerth's style captures the attitude of denim. Fresh and spirited, G-Star's group of jeans lovers create a scene that feels now. They embody the freedom of jeans that original workwear garment uniting wearers around the world, allowing every individual to express their personal style. 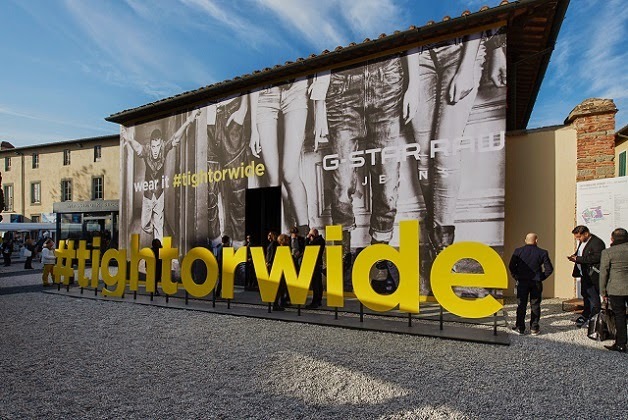 The campaign shows the spectrum of jeans offered by G-Star. With men's and women's style that span skinny to loose, raw to distressed, dark indigo to chalk white, timely to timeless - the brand's mastery of denim is clear. Women's jeans are a particular strength of the brand, having extensively researched the details for the ultimate flattering fit. The girls of the campaign show just how good the right pair of jeans can look, a theme perfected by von Unwerth herself.